Have you ever eagerly anticipated the release of a game only to find out it isn’t coming to the United States? Imagine if the reasoning wasn’t due to licensing issues or internal policies by the ESRB and console developers. Aside from Rapelay, a game I can barely give credit as a video game and was never intended to see a release anyway, I’ve never heard of a game that isn’t welcome in the US. It’s one of those great freedoms that we take completely for granted in this country – we don’t have our media banned or censored federally. This isn’t to say content isn’t stripped down, many of us remember Manhunt 2 getting an AO rating that rendered it unable to release on its intended platforms (PS2 and Wii). As a result, developer Rockstar released a “toned down” version that was approved with an M rating and saw retail release. The difference between this situation and the situation in other countries is that the industry self polices and decides what is allowed and what is not. Currently the major console manufacturers refuse to release AO titles, but that doesn’t restrict a developer from releasing on PC or an available platform. In some other countries, you’re given a stringent refusal to release your product after you’ve created it. So now you want to import consoles and games, do you? Well you’ll be happy to know that it is entirely possible on most consoles, however there are some things you’ll have to be aware of before you do it. This article discusses the different things you have to do to both the electric and video signal of various imported consoles. It will also briefly discuss how to get foreign games to play on US consoles, if possible. No matter what console you are using, it’s important to know the differences between electricity in the US, Europe and Japan. 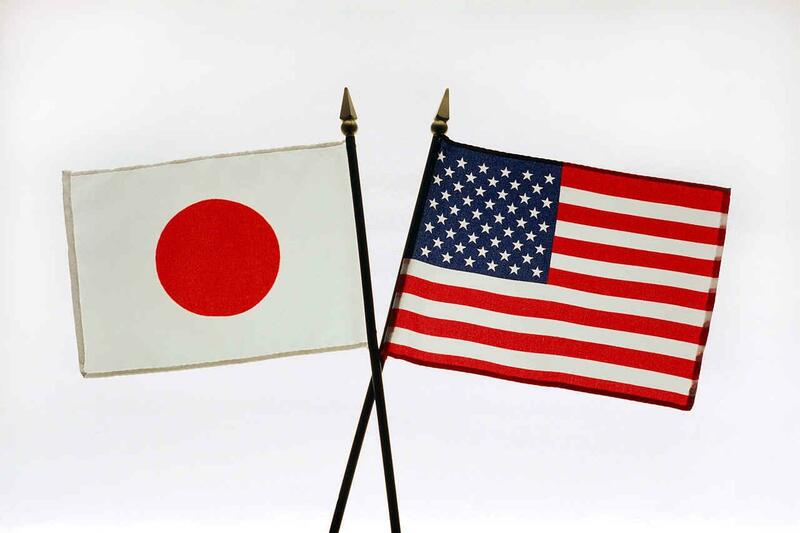 As you’ll see plenty of times in this article, Japan is quite similar to the United States in many ways, including power. We use 120 volts as our standard for power. Japan doesn’t appear to use a ground (or at least none of the Japanese consoles I’ve ever gotten do, never been to Japan itself), so all plugs from Japanese consoles will be two-pronged and fit in an US outlet. Also fortunate is the fact that most consoles, especially retro ones, will use AC adaptors that work in the US. Never interchange US power supplies into Japanese consoles, you could fry the console or worse. For example, if you import a Famicom, use that console’s AC adaptor and not an US NES one. For newer consoles like Japanese PS2s and PS3s, you may want to check the back of the console, but I think those are good for AC 100-240 volts for worldwide distribution, but I could be wrong. Basically if it generates heat, be very careful and do a search for advice from a reputable source (no, Yahoo! Answers is not a reputable source). Also if you want to be completely safe, there are Japanese voltage converters that allow use of Japanese products here. So you’ve decided you may be interested in this import scene, huh? You may want to see what the other regions have to offer? Perhaps you just don’t know what’s out there and you’re just curious. Well here you go – a wrap-up of some of the most popular consoles overseas that didn’t quite it over here. 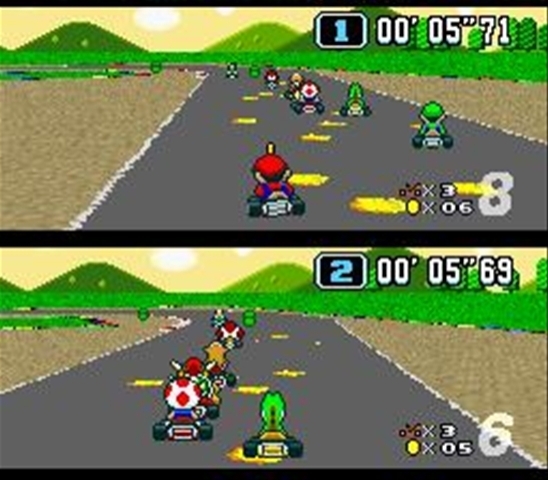 Sega and Nintendo have been up against each other since day one, literally. While we didn’t see the NES over here until at least 1985, Sega’s first console, the SG-1000, released day in date alongside the Famicom (NES) in Japan. A cartridge based system that had nearly identical hardware to the ColecoVision, Sega’s first outing is most notable for having a solid Donkey Kong clone (Congo Bongo) and some of Sega’s top arcade titles. I’m fairly certain that Flicky made its first home appearance thanks to the SG-1000 as did Monaco GP. Ghostbusters released on almost every platform in the 80s, but if you picked up the NES version you would be greeted with an all-too-common error: the completion screen proudly exclaims “Conglaturation!! !” Back in the late 80s I was a mere seven when playing NES games and improper spelling or verbage was something I shrugged off as not understanding. I never assumed the game was wrong, I just assumed that I didn’t get it. See, back in the 80s most games were lucky to get a decent translation, let alone a full localization, and it made playing many of the Japanese games difficult. Nowadays it’s a completely different world – pioneers like Atlas and Square Enix have full-blown localization departments that are hellbent on creating the best possible experience for a specific regional audience. It’s more than just a translation, it’s a retooling for another culture. A Twelve Floppy Disk Game! In 1994 my father decided that it was high time to replace that old Commodore 64 (which wasn’t even considered a PC anymore) with a brand new Pentium 90 mhz PC. I remember coming downstairs on Christmas morning and there it was, a beautiful boxy white machine with a VGA monitor, printer, and took up all the space our wide oak desk could spare. CD-ROM was brand new and this bad boy came equipped with it and a few initial CDs, including Myst and an Compton’s Interactive Encyclopedia. 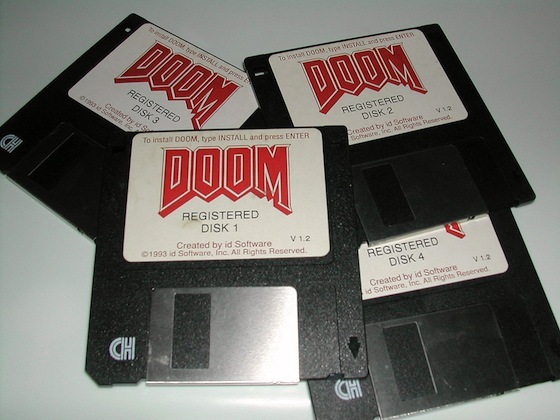 At that time, however, not every game came in the CD version and many PC gamers were selling off their floppy disc versions of games to upgrade. It was at this time that I became enamoured with PC gaming and began stopping by the used PC game shop near my part-time job and blowing my money on classics. Aside from the first-person shooters that my mother hated, think Doom and Duke Nukem 3D, I was very interested in any game that had a fantasy setting. While console games at the time had plenty of variety, true Dungeons & Dragons-style games seemed more fun to me in a point-and-click world. I first got my hands on Warcraft, which was fun online and all, but real-time strategy (RTS) games just weren’t my style. Then one of my friends introduced me to a little game called King’s Quest, one of the longest running Sierra point-and-click adventure games. It looked so cool and seemed to add a depth I had never seen before. I dropped by the used computer store and the newest game, King’s Quest VII, was available on CD for $40. That was way too high for my liking, so I looked to see if there were any games used. 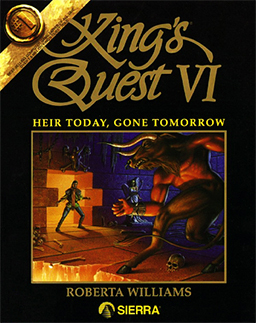 To my surprise there was King’s Quest VI: Heir Today, Gone Tomorrow on floppy for like $10, which intrigued me not only in price but with the clever pun. I bought it and brought it home. Floppy games that released near the CD age were always huge, many of them taking 9+ floppy discs to install under MS-DOS, an alternative mode to Windows 3.1 on early 586/Pentium PCs. 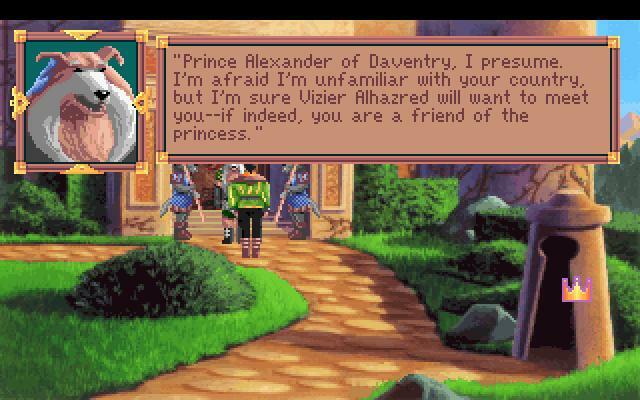 King’s Quest VI was an enormous 12 floppy discs and took more than 20 minutes to install. The wait was worth it, though, because the game opened with a fully animated cutscene, complete with voice acting, and the entire game looked to me like Dragon’s Lair in a playable form. I would also later discover that the writer of the game, the amazing Roberta Williams, also had some horror games including Phantasmagoria, a massive 7 CD title in its own right. King’s Quest VI wasn’t the only game this large, either, many titles from the early days of PCs were purchased or traded in floppy disk form. You would always want to back up your disks, twice, because the damn things had a tendency to go bad and that was usually on disk 11 of 12, when you had already wasted so much time. 11 Different Gameboy Advance Colors! 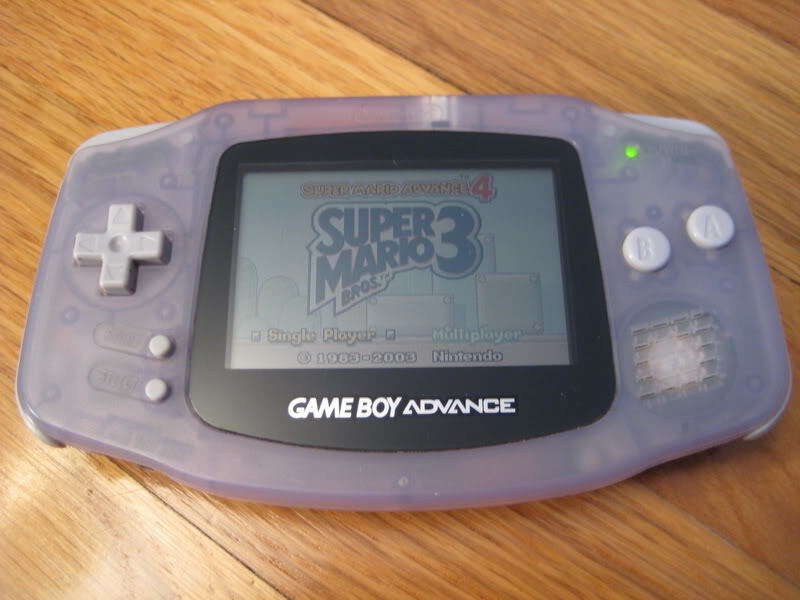 Gameboy Advance (GBA) was not the first console to offer multiple colors. In fact, it wasn’t even the first Nintendo or even Gameboy console to do so, but it definitely was the first to push variety. Releasing with seven initial colors, the GBA created the first Christmas where it wasn’t just about getting the right portable for your child, but also the right color. Of course the really popular ones, fuchsia and arctic come to mind, were the first to sell out and the most common, indigo, was the only color left in every retail outlet. Not only did they feature various normal colors, but limited edition colors were offered worldwide, creating a high demand to grab all the various rare (and expensive) GBAs for collectors. I’d love to say that I’m not guilty of this, but back in 2001 when I went out to purchase a GBA with my Christmas money I hunted at a bunch of stores and didn’t buy the portable for 2 weeks because I didn’t like any of the colors I found. 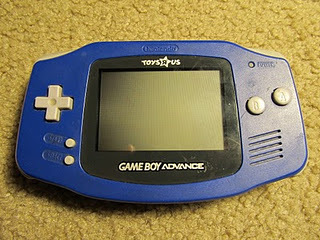 My heart was set on the midnight blue color, which I later discovered was only available at Toys R Us and had its horrendous logo above the screen. I quickly settled for one in glacier, but not before finally finding a midnight blue – in hindsight I probably could have made some money re-selling that thing. I still think fondly on those times, despite the fact that the GBA would start the trend of console iterations – the GBA SP being such an improvement over the original I couldn’t help but pick it up as well. Anytime I go to a used game store I always browse the GBA consoles for that random shot I could get my hands on the limited Japanese clear orange or spice colors. I think it was the only console cycle where I never had to hunt for a specific game but I always had to hunt for a specific colored console. I know the picture has more than 10 games, but I just recently found a bunch of old Turbografx-16 games from my youth and I don’t have all of the original “big 10”, sue me. Back in 1992 Toys R Us decided it was high time to get rid of the Turbografx-16 and clearance priced both the console and the games. I’m fairly certain the console dropped down to $49.99 and I know the games were all $9.99. I had no idea what the heck a Turbografx-16 was but the graphics definitely looked like Sega Genesis and Super Nintendo so I grabbed it and five games for Christmas. This was an even bigger deal when you consider that my Toys R Us only had 10 games for the console. I was hoping that I could find other stores or places downtown (I lived in a suburb of Chicago) but to no avail. After two weeks of searching I finally gave up and decided to ask for the other five games for my birthday to at least have my strong 10 game collection. That ended up being one of the most worthwhile Christmas gifts I could have possibly asked for. The back of the box was adorned with games I had never heard of, like Bloody Wolf, that looked absolutely amazing. Unfortunately, I was limited to just the 10 games I could find but many of those were gems of the console: Keith Courage in Alpha Zones (pack-in), Legendary Axe, Splatterhouse, Devil’s Crush, Pac-Land, Vigilante, Aeroblasters, Bonk’s Adventure, Victory Run, and of course J.J. & Jeff made up my collection. 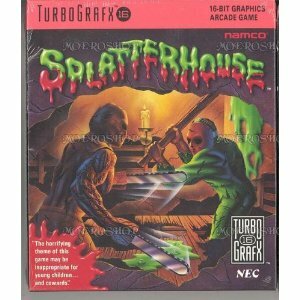 Being only ten years old and getting my hands on a game like Splatterhouse, an action title where your character looks like Jason from the Friday the 13th series and explores a haunted house, I was blown away. 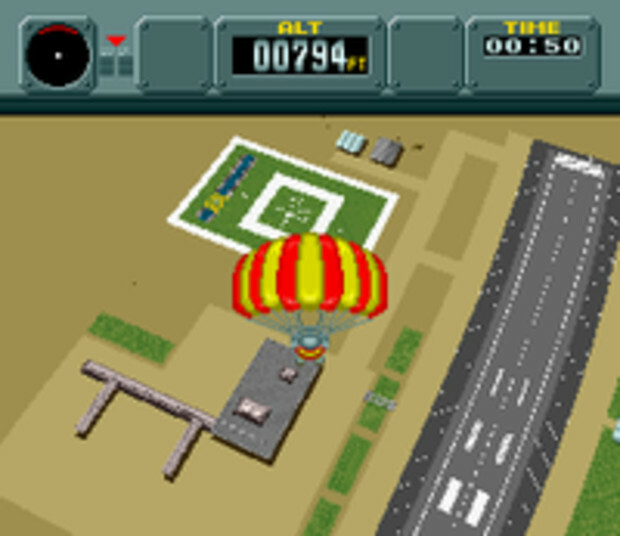 Additionally the Turbografx-16 had a strong Japanese influence, so all games looked very cartoony and covered topics like graphic violence and adult situations. I spent most of 1993 playing Turbografx-16 at home, but with my obsession with Mortal Kombat for Christmas the next year, my Genesis became the main console of my life after that. 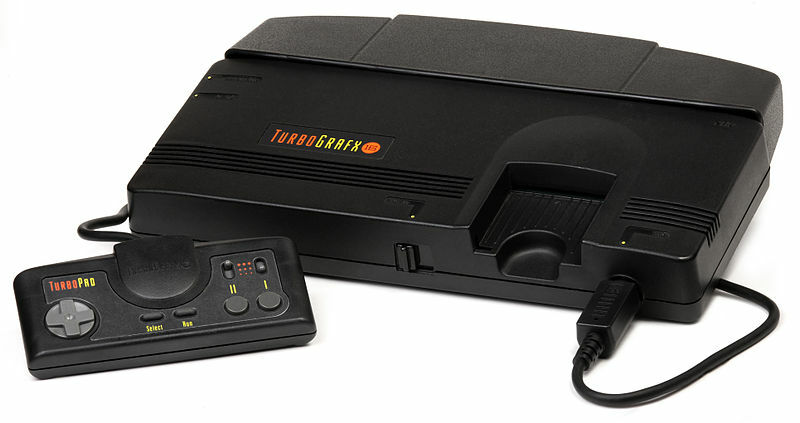 For the longest time the Turbografx-16 remained a vague memory gathering dust in my closet (much like my Wii was a year ago). I ended up selling off the console in college but the box containing my games remained untouched in my parent’s basement, which had more than tripled by the time I was 20. I recently found the games and picked up a used Turbografx-16 and upon that first boot-up of Keith Courage in Alpha Zones it was like being a kid again. I had no idea what a great part of gaming history I had stumbled upon for Christmas ’92. My father was born and raised in Costa Rica (hence why I’m half Costa Rican), but I was pretty young for the first family vacations back “home”. Near the end of the NES era, a bunch of family members on my mother’s side as well as my immediate family celebrated Christmas in Costa Rica. There were lots of subtle differences to American culture there, but none more interesting to me than imported knock-offs. If you were to enter little toy shops in and around central hub city San Jose, you could expect to see items cheaply made and imported from Asia. I still remember the Teenage Mutant Ninja Turtles figures I picked up (all 4 for about $15) that had Chinese all over the box and looked a bit off-center with its paint job. They all broke by the end of the trip. There were also video games, of course, and I couldn’t help but check them all out. For like $50 there was an NES that was painted all silver, more boxy (I later discovered it was the Famicom design) and had controllers and a zapper permanently wired into them. Not only that, when you turned it on it had 101 games built-in, which I didn’t pick up because I had an NES already and this console wouldn’t work with cartridges. What I also saw was a slew of “x-in-1” cartridges that contained some of the console’s best games all together. 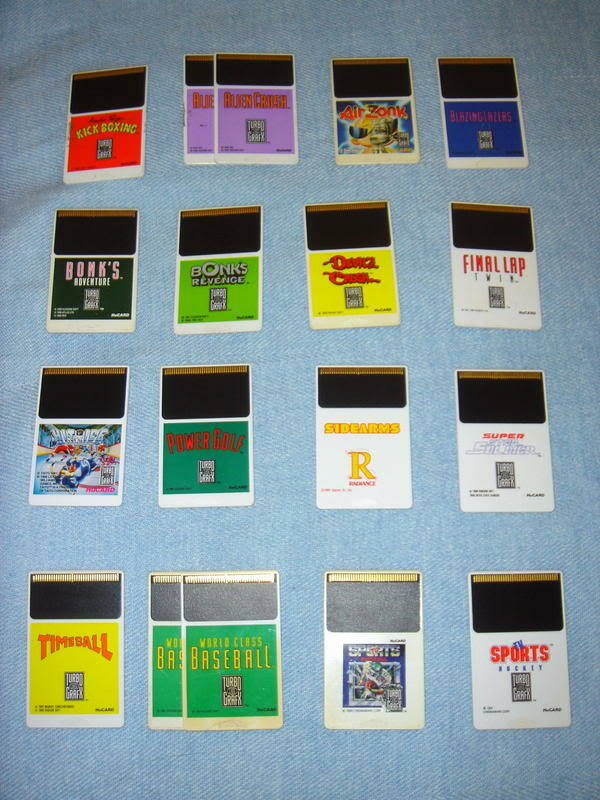 It was old school pirating at its best – take a bunch of smaller older games and thanks to new technology put them all into a single cartridge and sell them in foreign countries. I remember buying one for my NES, probably a 76-in-1, that I could have sworn had 76 individual titles but I later discovered there were only like seven games repeating on a list with different names. 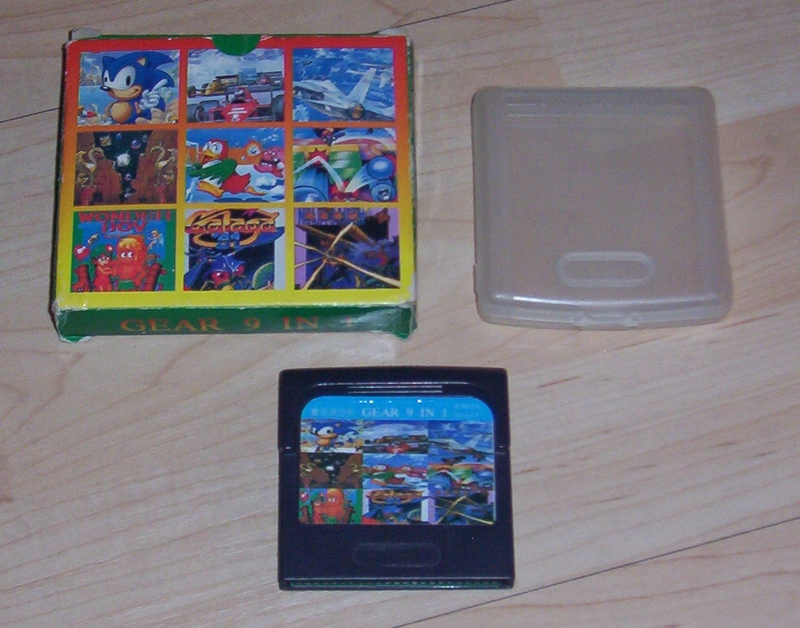 I also bought a Game Gear 9-in-1 (pictured above) for my buddy, which was amazing because it contained Sonic the Hedgehog and a handful of arcade ports. I wasn’t really trying to be kind, but it was like $20 and I used to love borrowing his Game Gear, now I gave him a reason to be forthcoming with it. This trend would continue in gaming moving forward to as recently as this generation with Sonic’s Ultimate Genesis Collection and several others. In addition, I still see 30-in-1 Genesis systems and 50-in-1 Atari systems for roughly $30 at Walgreens, which are now legal items that these respective companies have approved. As is the case with most collections, they were as much a double-edged sword then as they are now. You have so much selection that you barely spend any time with a single game and never accomplish much other than beating the first level of each title before the system eventually dies. Costa Rica gave me lots of great memories and views, but it was also my first glimpse at how bad small countries got it in the video game market. No wonder the Master System and Genesis were so big in Brazil. Any one out there have some crazy unlicensed all-in-one pirate games? 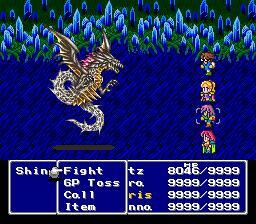 The Final Fantasy series has always been a staple in gaming since it was first introduced on the NES in 1990. 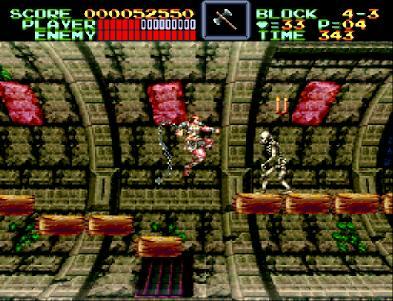 While the series has undergone various changes, the basic format of multiple adventurers taking on opponents in turn-based combat was still around with each iteration on the Playstation. Final Fantasy VII released in January 1997 and at that point I didn’t yet own the console and couldn’t get the game everyone was talking about. I thought it was odd that every gamer I knew wanted to play this game – Final Fantasy games had always been big with some gamers, but it was never a universal series. After I got to see it in action in a local Babbage’s, I completely understood. FFVII was gorgeous – futuristic cutscenes, impressive graphics, a cyberpunk atmosphere and versatile battle system (including the infamous materia magic). Even more intriguing was the fact that this was on the Sony Playstation as Nintendo had been the sole home for Final Fantasy games in America for almost a decade. I got the game for Christmas in late 1997 and immediately began to play it, but with a 70+ hour campaign along with a girlfriend and school restarting, I only got as far as the big twist that concluded disc 1. 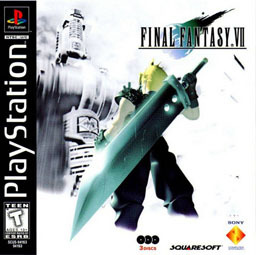 After the giant success of Final Fantasy VII, the Playstation quickly became the home of both role-playing games (RPGs) and Square Enix titles. I had always wondered why the Final Fantasy series had jumped from part three to seven, a common inconsistency for Japanese RPGs released in America. An article in Electronics Gaming Monthly about the series would reveal that in America we only got certain titles and Nintendo had chosen to number them differently for consistency with an America audience. It turns out that Final Fantasy II and III released on the Famicom in Japan but never made it stateside (probably the massive undertaking of regionalizing it and the fact that the SNES released only a year after the original FF). In America we got Final Fantasy IV, renamed to Final Fantasy II, and Final Fantasy VI, renamed to Final Fantasy III. How confusing, right? As Final Fantasy fever hit the Sony Playstation and newfound gamers began to enter the magical worlds of RPGs, it seemed every Christmas had a Final Fantasy on shelves. Thanks to multiple teams working on projects, Final Fantasy VIII would grace store shelves of eager gamers in 1999 and Final Fantasy IX only a year later. At this point Sony ran into a similar problem that Nintendo had: the Playstation was coming to an end and by the following year the Playstation 2 would be available. In a genius decision taken straight from the book of Nintendo, Sony decided to continue to release classic Final Fantasy titles on the Playstation. Launching as dual-game collections, most games would give you a combination of a game US audiences had played along with one they hadn’t. Final Fantasy Anthology offered Final Fantasy V and VI, which would be most familiar to audiences of the time given the popularity of Final Fantasy III (VI) on SNES and introduce a cult favorite with V. Final Fantasy Collection would also release that year and include Final Fantasy IV, better known as II in America, to complete the SNES packaged offering. Those that didn’t catch the extremely rare and high-priced Collection could pick up Final Fantasy IV along with Chrono Trigger, an SNES classic from the makers of both Final Fantasy and Dragon Warrior, in Final Fantasy Chronicles. In the final days of the Playstation, Christmas 2003 would be adorned with Final Fantasy Origins, collecting Final Fantasy I and II. If you’re paying attention, that’s eight whopping Final Fantasy games and more than 500 hours of overall gameplay (and that’s not even counting Chrono Trigger). Back then I remember a friend of mine that was so obsessed with the Final Fantasy games that his mother would just ask if he wanted the new Final Fantasy again that year. It was during those years that I wasn’t gaming often and when I did I definitely didn’t have time for a huge Final Fantasy game. Thankfully I recently picked up most of these titles on Amazon – yes, Amazon has new copies of these particular Playstation games on its site at this moment (and for cheap too!) – and will eventually try to find the time to work through them. Much like the HD remakes today, each title featured enhanced graphics and new CGI cutscenes. For many RPG fans the wonderful world of Final Fantasy opened up and they were given the ability to enjoy a whopping eight titles in one console generation, not to mention the fact that they would all still work on both Playstation 2 and Playstation 3.